….well actually 2025, hopefully some will get the reference (or your parents will). Zach suggested I might gaze into my crystal ball (or my navel) and imagine what the trail experience for the Class of 2025 will be like. Let’s start by putting some numbers out there. In 2007 NPS funded a study that resulted in a calculation of 1,948,701 “trail visitors” for the whole year. “Visitors” means anyone who is walking on the Trail–day hikers, school groups, section and thru hikers, peak baggers–whatever. This number was developed by statistical analysis of sampled hikers at selected points along the A.T.
From ATC, there’s data that indicates about a 45% increase of long-distance hikers since 2007 (interestingly, hiker-reported completions run between 28% and 30% of starters pretty consistently). If we plug that 45% increase into the NPS survey numbers we get a visitor population today of 2,825,616 (more or less). Obviously, my calculations reflect the grossest kind of arithmetic analysis; and further, the growth rate of all users may may not be reflected in the growth of the Thru-hiking population (I’ll wager that the non-thruhiker population is growing at an even greater rate)–but let’s just play with that number: 2,825,616. That’s a lot of people by almost any standard (only NYC and LA have higher populations within their city limits). It averages to around 1,345 people per mile of Trail–a meaningless number, since we all won’t be out there at the same time–but an interesting thought experiment. Now that I’ve created a number through a process that’s a little flimsy, let’s compound the error and look at the next 9 years of a 45% increase. If so, in 2025 that raises our people per mile number to almost 1,951 (one person every 2.7 feet), and the total number of users to 4,097,143. More than LA, still less than NYC. Other than the sheer number of hikers of all kinds, the biggest change since 2007 has been the increasing amount of data available to hikers. Back at the turn of the last century, there were raging debates on whether it was “pure” to carry a cell phone, never mind talking on it while you were in the woods. Now, nearly universal access to social media and online Trail data is a given. Looking ahead, we can be sure social sharing will continue to connect people to the Trail, who in turn will share, bringing even more people. Right now, the A.T. is hot in certain online communities (but not in others, see below). Will it continue to be the icon of both the “coming of age” and “bucket list” crowd? Devices will be more efficient in 2025, and batteries will have greater capacity. 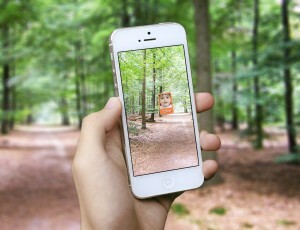 No need for Airplane Mode, hikers will be able to share in real time. Long before then, someone will have created a step by step clip montage of every mile of the A.T. (maybe there already is one?). Even now, there are pictures, video and posts on nearly every shelter, campsite and hostel from Georgia to Maine. In 2025, in real time, you’ll be able to know if the water source at Wilcox North shelter is running when you break camp at The Hemlocks (pardon the Mass references). I feel an impending sense of loss from all this connectivity–where’s the mystery, the adventure? Part of the attraction of long distance hiking (I think) is not knowing what’s over the next hill–yes, probably more trees, roots and rocks, but there’s other stuff too; a small splashy stream or woods carpeted with trillium; the hiker you hiked with for a day in Georgia who’s now just ahead of you in Vermont; an aggressive bear at the shelter you were planning on staying at tonight. If you know what’s going to happen tomorrow, how is hiking any different than working? The Trail has it’s own magic, and I think too soon we may be able to see too much of what’s behind the magician’s curtain. For more on an “unplugged” hike, see Ronen Schatsky’s recent post and Dylan Niknot’s Finding the Sweet Spot. Want some expert advice? There’s a lot: everything from Institutes to personal journals. 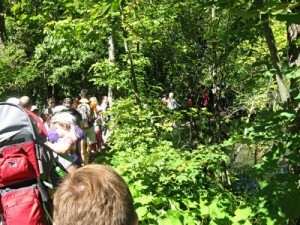 As the number of hikers continues to grow, so will the field of experts. 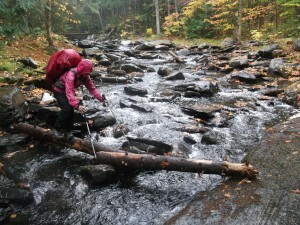 While a newbie has not experienced hiking in 5 days of rain, he knows that it’s something he may encounter–and he’ll know how others have worked their way through it. So, another chunk of the mystery and adventure has been lost: anyone can find out what to expect, and even train to overcome it long before they start the Approach Trail. A normal part of many young person’s resume will include at least an attempt at a thruhike. And of course we have our own Appalachian Trials (really quite brilliant) compendium of advice. Gear will be lighter, isn’t it always?. You will wear smart fabric that reacts to environmental factors such as sunlight and body heat and can store and release energy. Maybe even fibers that release skank and dirt with just a rinse in cold water. Breathable, waterproof raingear…? The laws of thermodynamics will probably still hold true, so those of us who like hot food, will still need to carry some form of hydrocarbon to provide hot water. The portable fusion reactors are still some years off. As a regular section hiker, it would be cool to have an autonomous car that would drop me off and pick me up 150 miles down the Trail–tough on all those shuttle providers, though. 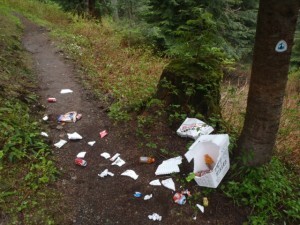 Speaking of off-Trail services, the continued increasing numbers of hikers, will expand the options. 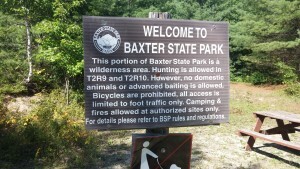 Rural areas look to broaden their income resources, hiker support becomes a larger sector of the local economy. Do we need even more magic? 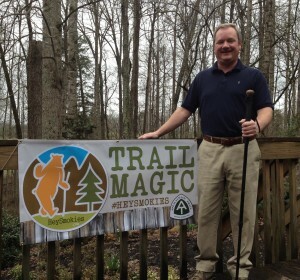 Sadly, organized trail “magic” will continue to be an expected feature of the hiking experience. Why people and groups spend hundreds of dollars to feed others who plan to spend $5000 or more on their vacation escapes me–aren’t there people in the community who are actually going to bed hungry on a regular basis? But I rant. However, with the ongoing trend of relaxing cannabis laws, in some states you’ll find “special” brownies next to the regular ones. Single-owner hostels might give way to more professionally run establishments–the increased number of hikers might drive small operators to sell as they just physically can’t keep up with demand. And hikers will demand more. Especially since we’ll see a blossom in the number of Bucket-List Boomers (like myself) out there. They’ve enjoyed a high level of service most of their lives, and they are willing to pay for it. What about the environment? What will the woods be like? Probably higher average temps, probably more rainy days. But many climate scientists predict that while overall trends point to warmer and wetter weather for the eastern US, specific, short term events will tend to be more intense and variable. Longer strings of extremely hot and/or dry weather–or cold and wet. Intense rain events, earlier springs, later falls–perhaps more frequent and intense hurricanes and tropical storms. Already we’re seeing noticeable increases in treadway erosion caused by runoff from extremely heavy, relatively short duration rainstorms, and intense localized windstorms will mean more trees and branches down. Forests in the mid-Atlantic and southern New England are already seeing noticeable changes. Ash trees, long a staple of moderate elevations along the A.T. are being brought down by the Emerald Ash borer. Many hemlocks in the same region are being weakened and killed by the Woolly Adelgid (95% of Shenandoah NP hemlocks have been killed by this pest). More overnight sites will need to be temporarily closed until damaged or dying trees can be removed. Invasives like Kudzu, Phragmites, and Knotweed are increasing their ranges and finding a foothold as more sunlight penetrates formerly dense forests. Insects, formerly kept in check by stable environments and associated predators, are increasing in numbers. We are finding many are hosts and transmitters of diseases we have never encountered in the Appalachians before. Maybe the perceived (or actual) risk of contracting serious disease will be a limiting factor for the increasing curve of A.T. hiker population? Will it keep maintainers out of the woods and fields too? At a recent meeting of my fellow Massachusetts volunteers, more than 75% reported they had come back from their trail work with one or more ticks. Half of that group reported removing embedded ticks. 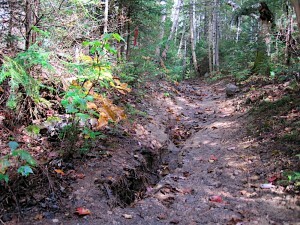 What will happen to the physical trail? 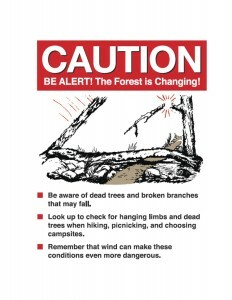 Greater use and more intense weather will result in more “hardening” of the Trail. More rock steps on steep slopes, more switchbacks when there’s a wide enough Corridor. Wet areas will see more bog bridges, turnpike and boardwalks. 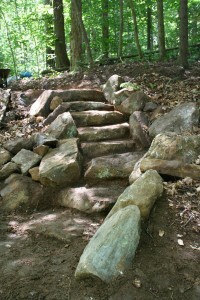 The physical infrastructure of the Trail will continue to grow and become less primitive. Northern New England in particular will see more hardening efforts. Almost half of the trailwide treadway “deficiencies” compiled by ATC are in Vermont, N.H. and Maine. Greater numbers of visitors will mean challenges for Trail managers to keep overnight sites from sprawling and environmental impacts minimized. I don’t think there will be more shelters built, but the “beaver gene” that seems to run through the volunteer community will probably result in more “amenities” at overnight sites. Benches, tables, windows/skylights, clotheslines, porch swings, covered cooking areas, etc. will continue to creep into overnight sites. There will likely be more designated campsites built to accommodate our increased numbers (there are an estimated 600 on the A.T. at present). Letting hikers choose for themselves where to camp will not be sustainable at even more locations then at present. 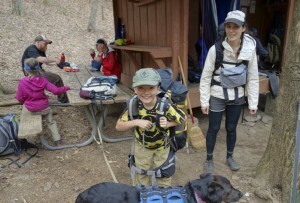 Some land managing agencies facing intensive and concentrated visitor use may set quotas or require hikers to register for a permit–or reserve campsites in advance. Agencies will likely charge fees to cover the costs of this effort. While this is pretty standard on western trails, such as the JMT, the A.T. has been mostly free of restrictions on where and when a hiker can travel. You’ll see more ridgerunners, have more conversations about minimizing your impacts. Advice will be dispensed. More hikers overall, means more hikers who can’t, or don’t know, or don’t care about minimizing their impacts to the Trail. Too, too many will still have a “one and done” attitude, satisfying only their own needs without thought about those who will come after. Long distance hiking will still require grit, perseverance, determination, tolerance of discomfort and the extended personal drive to complete what will likely be the greatest mental challenge you’ll ever face. Social bonds between hikers will continue to thrive and be a significant reason many people hike. But Things will Generally Look the Same. The Trail will still, for the most part, provide a sense of isolation from the physical manifestations of civilization (‘tho not the digital ones)–especially away from overnight sites and popular vistas. The protected land corridor will still be intact, and might even grow in a few places. You will feel that you are travelling on the height of land, and be able to gaze outwards into the distance. You will see more signs of development in that viewshed–wind turbines will become common on higher peaks in New England–some surprisingly close to the Trail. More energy transmission corridors will cross the trail. In Maine, more roads will be built or upgraded. I don’t think we’ll bridge the Kennebec, though… (a foot bridge will cost over $1 million, and is so NOT Maine)–but you may have to pay for a ferry ride. On days where it’s not too humid, visibility might be pretty good as we ramp down burning fossil fuels, particularly coal. Maybe even high mountain lakes will start to recover from acidification. Despite ATC’s efforts, and those of similar groups, A.T. long-distance hikers will still be mostly white and mostly well off. (When I Google images of “Appalachian Trail hikers of color”, I get a lot of fall foliage pictures). Even if the underlying social issues that may deny many people of color equal access to the resources enjoyed by many of their white counterparts are resolved, hiking (and Trail stewardship) will still be seen as a “white” activity. 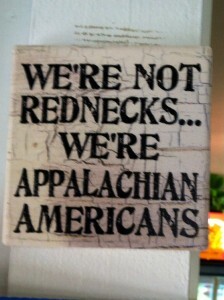 Sadly, only a few will aspire to break through the cultural barriers, even as the class and economic ones are overcome. 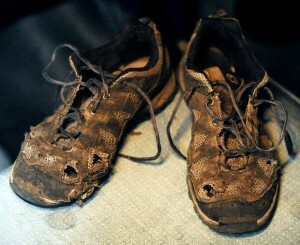 Those that do will face the expectation to “represent’ within the AT hiking community. I can’t imagine carrying that additional burden for 2000 miles. 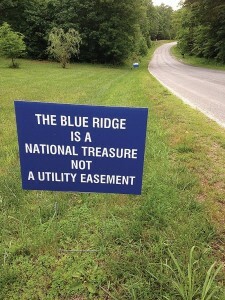 and citizens in towns near the Trail truly value it as an important local resource. As the 3rd generation volunteers like myself die off, we’ll need people like yourselves and your friends to take the tools from our hands and put them to good use. I liked SectionHiker’s predictions better. Much funnier! Great artical Cosmo…extremely well thought out, organized, insightful and thought provoking…hopefully the future will be one of positive reinforcement rather than disconnection due to technological advance…We are so lucky to have this precious jewel, and although not all can experience it, it is so important that the few of us that do preserve it for our future generations. All we can do is pass the torch and hope for the best. Thankyou for all your work and efforts. Not going to lie, had to google that one. I haven’t heard that song in I don’t know how long. Here’s to hoping that increase in numbers will also result in an increase in funds to maintain, educate, restore, etc. 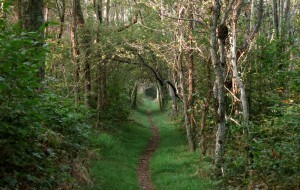 the trail. Scary part is Zager and Evens may have gotten it right…youch! I don’t believe it. Hiking popularity waxes and wanes, no way will there be sustained 45% growth. I think you’re right. We can only hope there’s a downturn coming. I wish I could find a graph posted on a trail blog . It showed the increases ( and decreases ) in annual thru hiker population . As I recall , when our nation was in recessions , the count went down . 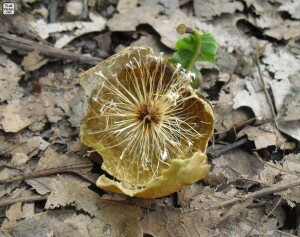 Don’t be discouraged , after the “Walk in the Woods” phenomena wears off with the 5 days of rain . Head counts will drop . Also , as we are near or in a recession again . Same result – head counts drop . I’m not so sure about paying for the ferry crossing. If memory serves, someone swimming to avoid the fee and then drowning is why the ferry is free. Yes, the ferry was started because a hiker drowned trying to cross. Prior to the ferry, hikers were on their own and dependent on luck, skill or the chance of connecting with a friendly boatman. But the ferry is pretty costly for ATC to operate, and will continue to cost more as the years go on. There’s a thought that some sort of signal could be installed that would let hikers know when there is an upstream release, but even then some won’t know or decide to chance it anyway. Studies of a possible bridge show it as a pretty massive thing, as it would need to be well above the winter ice/spring runoff levels and reach the higher bank on the North side. Not in keeping with the current AT values–but you never know. There’s quite a bit of capacity for hikers, Miles. The trick is mostly when they all want to stop can camp. Great Article! I love you used one of my photos! 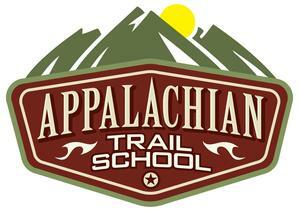 I’m hoping that the increase of more hikers, bring more money to the ATC, and more volunteers to the trails. Maybe all those reading this, and putting Videos out on YouTube, or doing documentaries could educate the future generations on “Leave No Trace” a little word spoken, or written may help the Future! 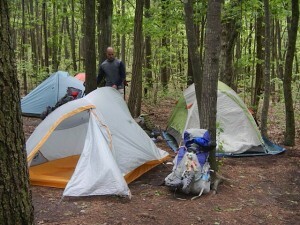 The ATC should make it mandatory for Thru-hikers, section hikers, and over nighters, to take a little 30 minute course that will show etiquette, and things to do or not to do! 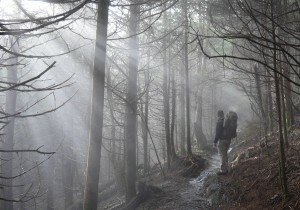 I think a true hiker will not mind, if it’s for the sake of the trail! I was glad I could use the picture, Nelia. (If you’d like specific attribution, let me know). Here’s a nice little set of videos ATC has sponsored to demonstrate some basic LNT principles. The hardest part is consistently putting these into practice when you are hot/cold/tired/hungry/sore, and generally just want to eat and crash into your sleeping bag.